Our dental team consists of 10 full time and part time staff, many of whom have been with us for over a decade. Family is important to our whole team, and some of Dr. Brian Croutze's family members even work at our clinics. Brian’s wife Stephanie works in our clinic as a dental assistant, and his mom Angela and sister Cassandra are the practice’s business managers. We feel very fortunate to work with such wonderful people as well as to serve the families in our community. Working out of both clinics Angela has managed the business for over 25 years. Working behind the scenes she does the bookkeeping, administrative work and running the clinics alongside her son, Brian. She enjoys her time at the clinics interacting with the staff and patients. After hours she enjoys being with her family and pursuing her passion of being a metal smith jewelry maker. 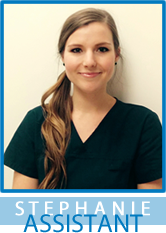 Joining our team in October 2015, Cassandra supports the daily operations at both clinics. 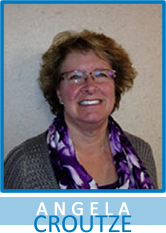 She assists with the bookkeeping and general administrative tasks around the offices. A graduate of the U of A with a degree in Economics, she enjoys working with numbers and is eager to learn more about the family business. Outside of work, Cassandra can be found playing piano or enjoying a round of golf. Stephanie received her BA from University of Alberta as well as her Dental Assisting Certificate at NAIT. Recently, Stephanie went with Dr. Brian on a Kindness in Action trip to Guatemala, where they provided dental care for children in rural, undeveloped areas. Outside of dentistry, Stephanie enjoys a variety of outdoor activities, in addition to spending lots of time with her family and friends. Kaitlyn, our full-time Receptionist, joined our clinic in July 2016. 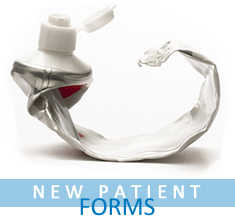 She brings with her 4 years prior experience and an immense knowledge of dental administration and insurance companies. In Kaitlyn’s spare time she enjoys kickboxing, hiking, going to the gun range and spending time with her friends, family and her two cats.